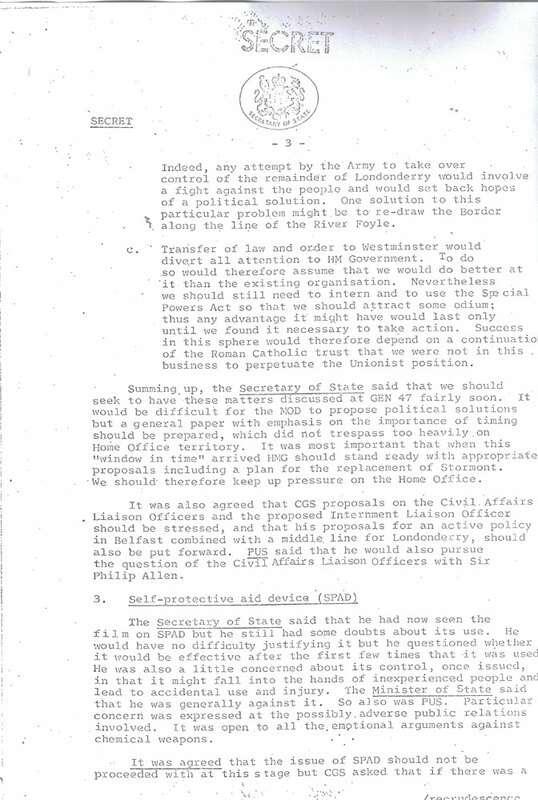 Below are just some of the critical archives discovered and released, not by the British authorities, but by our families and human rights organisations working with us on our research. Without our extensive research, these documents would never have been accessed or published. Our story – the truth – would never have been told. 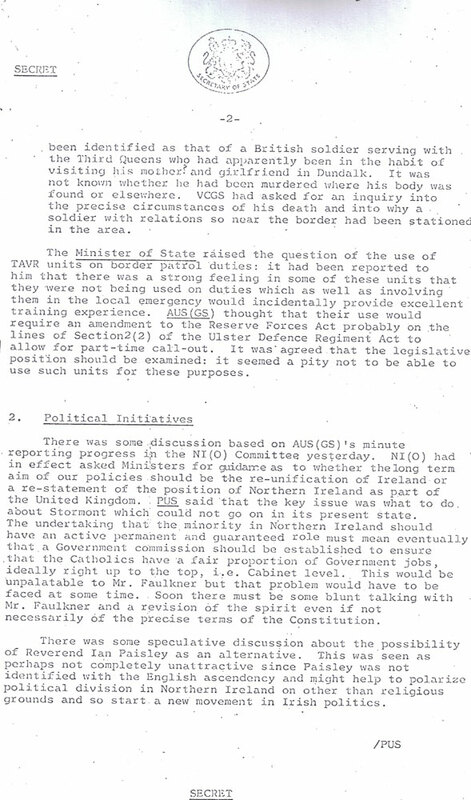 The infamous speech by John Taylor, Minister of State for Home Affairs, to Stormont. 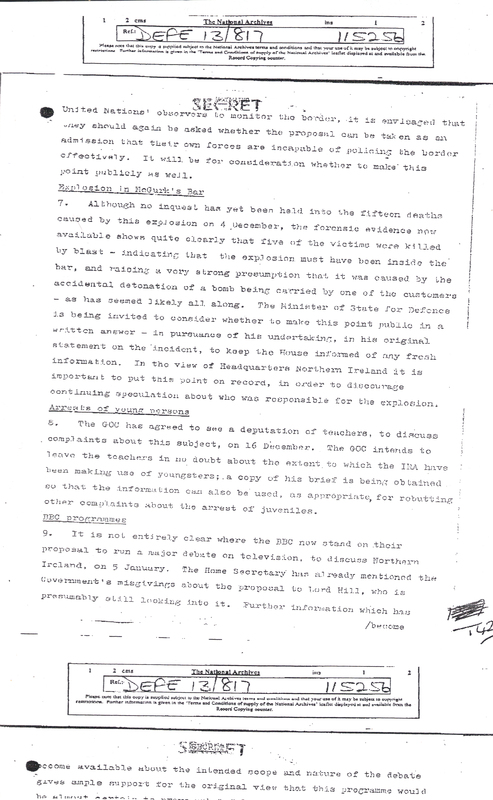 He parrots the RUC black propaganda in the Duty Officers’ Report above, including the use of an incorrect address for the pub, and goes on to insinuate that it was an IRA own-goal: “The plain fact is that the evidence of the forensic experts supports the theory that the explosion took place within the confines of the walls of the building”. 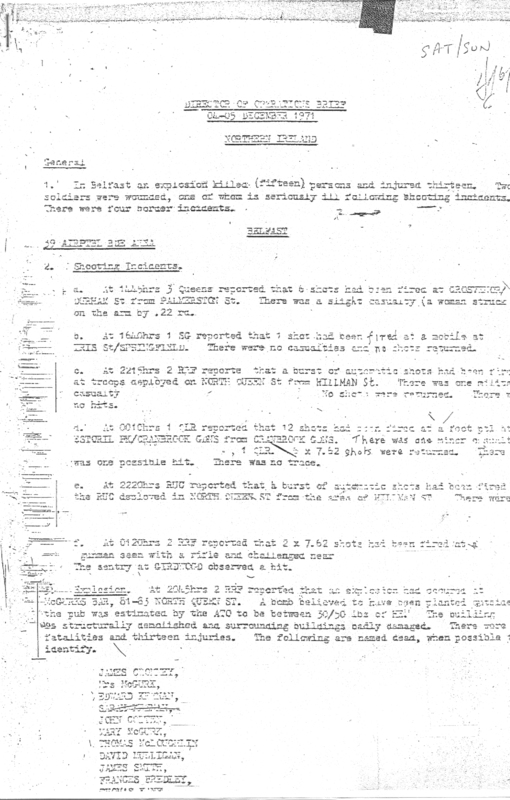 Forensics were not completed until February 1972. 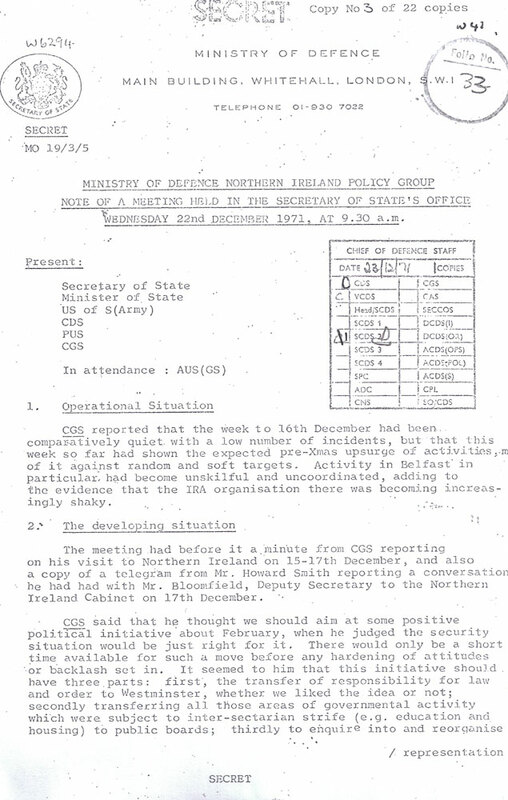 Discovered by the families in the Public Records Office but withheld from them due to National Security restrictions that were imposed immediately by the authorities, this archive includes a briefing from the RUC Chief Constable to the British military elite and Northern Ireland cabinet ministers. 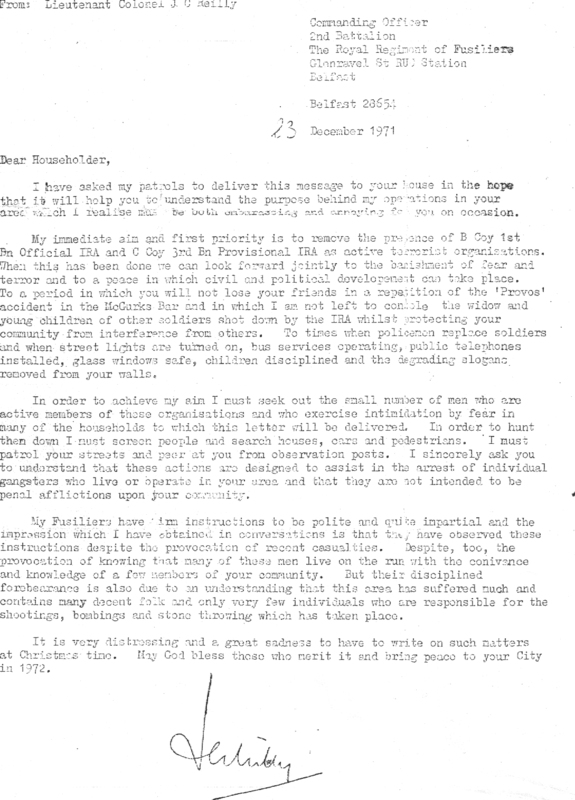 This archive find has since been described as “critical” evidence by the Police Ombudsman, Al Hutchinson. 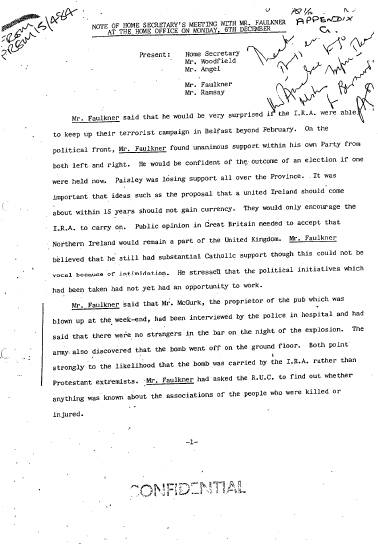 The families targeted these as the Joint Security Committee Conclusions had made no mention of the McGurk’s Bar Massacre at all and this, obviously, was highly suspect. 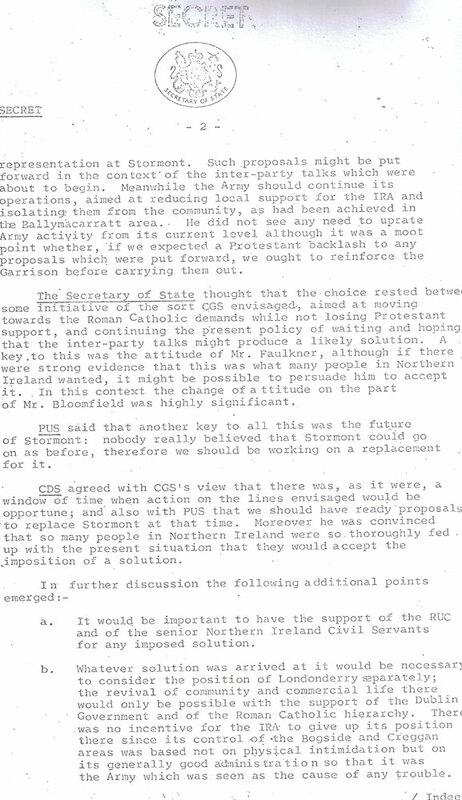 Here we have the RUC and Special Branch standing in front of their paymasters and presenting their intelligence assessment based on the lie they had created in the police Duty Officer’s Report of 5th December 1971. 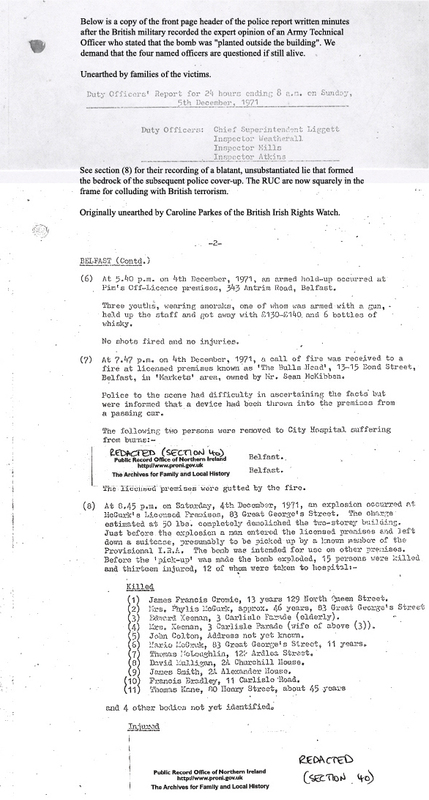 Without substance or substantiation the RUC criminalize the innocent victims of the McGurk’s Bar Massacre. Damning proof that the families could never expect a fair investigation. The present Chief Constable will now have to answer for this. Personal research into the McGurk’s Bar Massacre has uncovered the family history, military career and modern business life of a leader of the shadowy British special force unit, the Military Reaction Force (MRF). 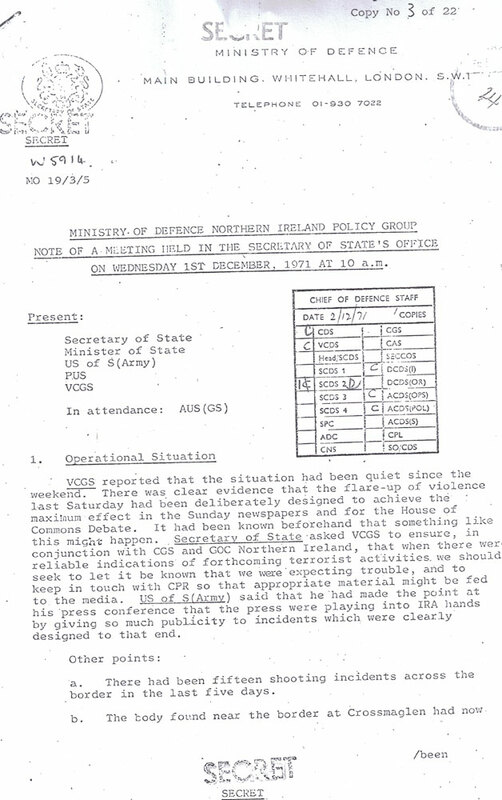 This covert operative is a man that the McGurk’s campaigners have long since demanded is questioned regarding British “black ops” at the time of the atrocity and beyond.